Ali came to the Americas by way of Ecuador in late 2016. He&apos;d just finished a university degree in Malaysia, where he&apos;d earned a scholarship to study construction management. He couldn&apos;t return to Saudi Arabia, where he&apos;d lived before, nor to his now-war-torn home of Yemen. He moved to Ecuador because he&apos;d heard he would be able to get residency there. But that hope never came to fruition. Once he arrived, he found he could only stay for six months. So he went then to the United States embassy, to try his luck at getting a student visa. "I wanted to do a master&apos;s program," says Ali, who requested to be identified only by his second name for security. "So I went to the embassy to apply. I paid 30 dollars. The girl came and said that they thought I was from Saudi Arabia, but because I was from Yemen, I couldn&apos;t get a visa." The first of President Donald Trump&apos;s so-called "travel bans" had just gone into effect in the U.S. It was after all this that Ali traveled to Mexico, with the hopes of continuing on to the U.S. Once in Mexico, Ali was connected with Programa Casa Refugiados, a Mexico City-based non-governmental organization that provides services to asylum seekers and refugees. Programa Casa Refugiados helped him regularize his status as a temporary resident in Mexico and continue his studies in a technical degree program. Ali is among the refugees to hail from one of the seven countries affected by Trump&apos;s executive order—Yemen, Libya, Syria, Iraq, Iran, Somalia, and Sudan. Many of them are now seeking to settle in Mexico City. What keeps Ali in Mexico is not the danger of crossing the border, but rather the new administration&apos;s anti-immigrant rhetoric. Coming from Muslim-majority countries to Mexico, a deeply Catholic one, and transitioning from Arabic- and English-speaking countries to a Spanish-speaking one, is already an uphill battle for many refugees. 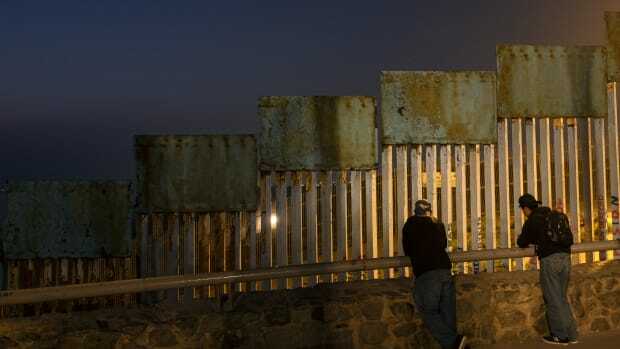 Many come to Mexico with the original goal of crossing the northern border into the U.S., where they may have connections through family or friends. But in choosing to stay in Mexico, they can find themselves in an unfamiliar country where they have little social support. Many face unique challenges to integration in Mexican society. "There&apos;s no one from my country here, and that can be difficult." In Mexico, asylum requests have been on the rise since 2011. From 2011 to 2015, the number of asylum requests increased more than threefold, according to statistics from the Comisión Mexicana de Ayuda a Refugiados (COMAR), the Mexican government&apos;s official body for asylum seekers and refugees. In 2015, COMAR recognized almost a third of the 3,423 asylum requests received. An overwhelming majority of asylum seekers in Mexico come from the Northern Triangle—the Central American countries of Guatemala, Honduras, and El Salvador; according to the United Nations High Commission of Refugees, asylum seekers from the Northern Triangle make up 90 percent of overall requests. 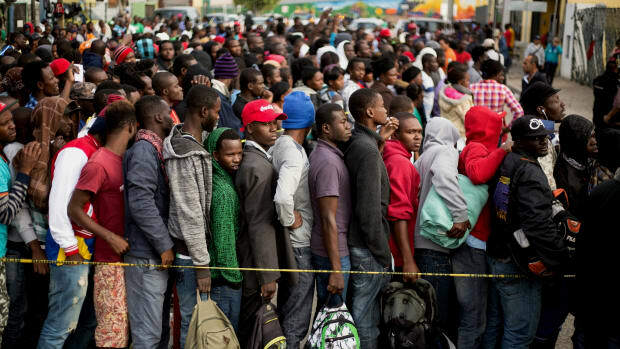 The remaining 10 percent or so move from countries including Haiti, the Democratic Republic of the Congo, and Cameroon, according to Programa Casa Refugiados. Mexico City in particular has taken steps to encourage pro-immigrant policy measures. The 2011 Law of Interculturality, Attention to Migrants and Human Mobility laid out principles for anti-discrimination, hospitality, and migrants&apos; rights, and instituted the Commission of Interculturality and Human Mobility. 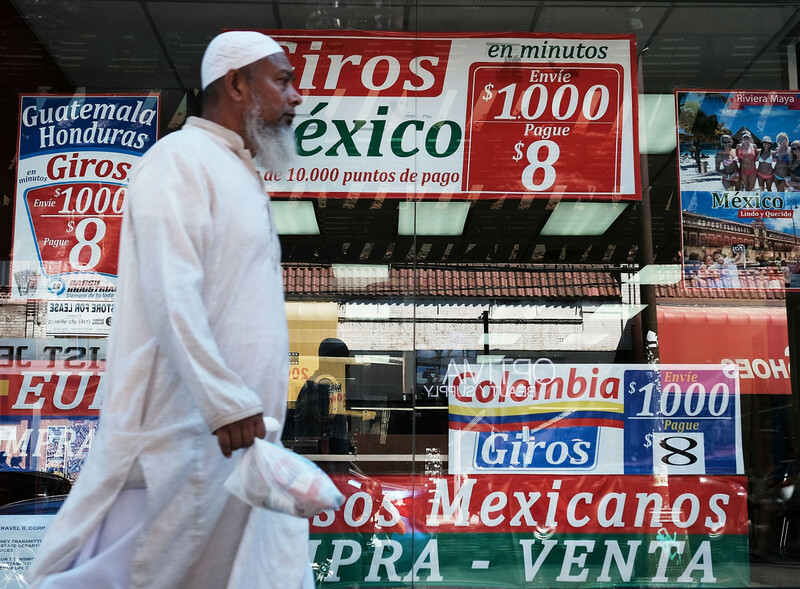 A recent campaign funded by the U.N. and the Mexico City government papered the city with pro-migrant public-service announcements. Yet the reality remains that resettlement can be grueling. 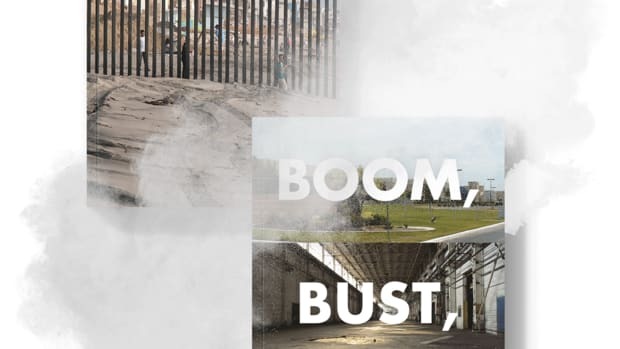 Rather than being a destination in itself, Mexico, to many migrants, remains a country of transit, the final obstacle before either crossing the U.S.-Mexico border illegally or requesting asylum at the border. "I imagine people come to Mexico because of being close to the United States," says Vania Ruiz, the lasting solutions coordinator at Programa Casa Refugiados. "Mexico represents a step closer to the U.S., so there may be the possibility of going there eventually." The U.S. government doesn&apos;t release statistics on how many asylum requests are made at the southern border, but many of the asylum seekers that Post-Conviction Relief aids decide to keep going north. Those include migrants not only from Central America, but also from Haiti and sub-Saharan Africa, all crossing Mexico in the hopes of resettling in the U.S. In recent months, Tijuana migrant shelters have been overwhelmed by Haitian asylum seekers awaiting their trial dates. Asylum requests in the U.S. have been consistently rising since 2010; in 2015, about a quarter of the over 83,000 requests were approved. The U.S. refugee resettlement program aims to settle refugees in communities with others of their nationality. As a result, immigrants and refugees with shared origins have formed clusters across the country. Detroit and New York City are home to high concentrations of Arab Americans; Minneapolis is home to a population of over 31,000 Somali immigrants, many of whom arrived as refugees. In contrast, Mexico hasn&apos;t seen significant immigration from Arab countries. The country has a foreign-born population of under 1 percent, compared to the U.S.&apos;s foreign-born population of 13.1 percent, and, as of 2009, the majority of those foreigners originated from the U.S., Canada, Europe, or Latin America. "There&apos;s no one from my country here," Ali says, "and that can be difficult." The 2010 Mexican census registered 3,740 Muslims nationwide, out of a population of 112 million. Even among Muslims, or people from Arabic-speaking countries, cultures are more diverse than the blanket label suggests. Not all Muslim-majority countries—nor Muslims, nor Arabic speakers—share more than superficial characteristics. Arabic dialects vary wildly between regions, and communication between different dialects can be nearly impossible. "I&apos;ve met some Egyptians who I can talk to in Arabic," Ali says. "But I met some Moroccans and Algerians, and I can&apos;t understand them." There&apos;s a small mosque near the guesthouse where Ali is currently staying, but he doesn&apos;t know many Muslims are in Mexico, aside from other refugees he met through the organization giving him aid. Beyond the difficulties of cultural adjustment, asylum seekers and refugees face an uphill battle in the basic tasks of finding a livelihood in Mexico. Abdi (who also requested his second name be used for security reasons) has been in Mexico City for five months. He&apos;s still waiting to hear whether his asylum request will be approved, and he is in limbo until then. He can&apos;t get a job without documents, and he can&apos;t leave the city until his asylum process ends. Abdi came from Somalia to start his journey throughout the Americas in Brazil, where he attempted to request asylum with no success. He traveled by bus and on foot with other migrants from Haiti and Cuba. They went through Peru and continued through Central America. In each country, Abdi tried to request asylum, but he encountered problems with documentation. He arrived in Tapachula, Mexico, in January. Abdi had planned to keep going north, but the day he left detention at the migration center in Tapachula, he heard the same news Ali did: Trump had just signed the travel ban. "It&apos;s better to have an identity than to have nothing." Abdi continued on to Mexico City, where he requested asylum at COMAR. According to COMAR policy, asylum seekers should receive a resolution on their status within 45 business days of their request. Several months after filing his request, though, Abdi still hasn&apos;t received any notification about his status. Even if he receives his refugee status, Abdi anticipates life in Mexico to be difficult. "It&apos;s better to have an identity than to have nothing," he says. "The community is good and the people are good, but economically it&apos;s not very stable." 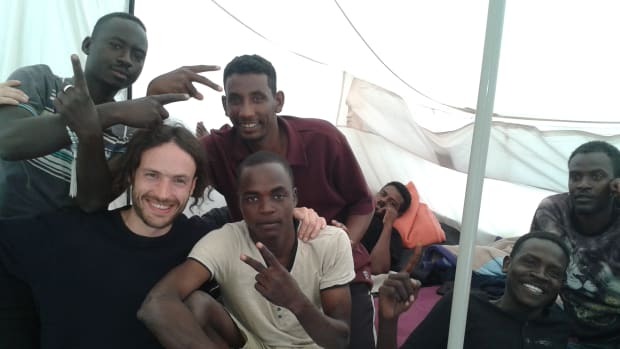 He&apos;s living at a guesthouse with several other refugees, some of whom are in the same situation. For a while, Abdi tried to apply for jobs, but he found businesses unreceptive to a foreigner with little grasp of Spanish. "For any job like cleaning or working in a restaurant, they prefer to hire people who are from here. In terms of survival it&apos;s very hard," he says. Abdi has received aid from Programa Casa Refugiados during his asylum process, but, according to Ruiz, asylum seekers can only receive three months&apos; worth of funding and support. If he doesn&apos;t receive refugee status, he&apos;ll probably try to go to the U.S. He doesn&apos;t know anyone there, but he knows there&apos;s a Somali community. Though he doesn&apos;t expect a journey to the states to be much easier, it may provide a reprieve from locating aid in Mexico. "Survival is difficult when you&apos;re always depending on organizations." Ali, on the other hand, feels at home in Mexico. He thinks he&apos;ll be here for at least three years as he finishes up his schooling. After that, he might stay in Mexico or try to move to Canada. 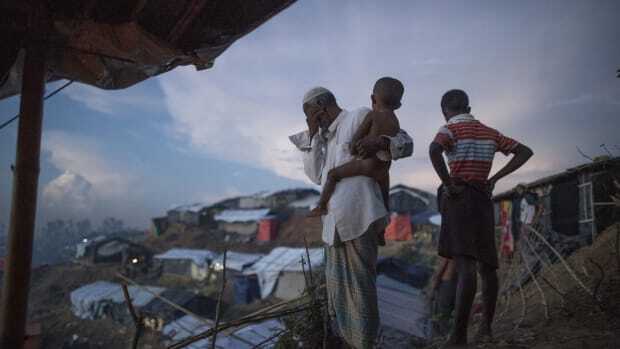 One thing is for certain: He won&apos;t be heading to the U.S.
Rohingya Muslim refugees look at the hundreds of tents filling a refugee camp in Bangladesh's Ukhiya district on October 4th, 2017.